The iconic slim silhouette New Balance 574 giving a refresh on this classic sneaker with different colours and finishes including glitter ……. 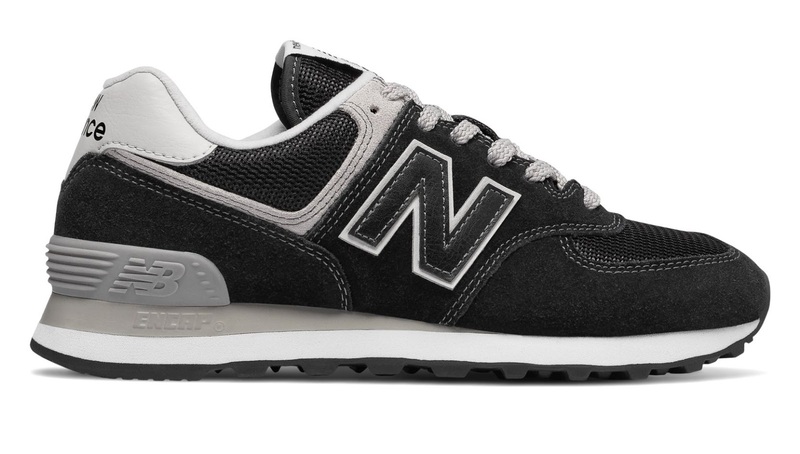 The classic 574 sneaker is known for its timeless style and lasting performance. This women's 574 Nubuck is a premium version of that best-selling shoe featuring a deconstructed silhouette and a whisper-soft nubuck upper. Fresh Foam midsole cushioning provides ultra-plush support to help you effortlessly navigate your on-the-go schedule. 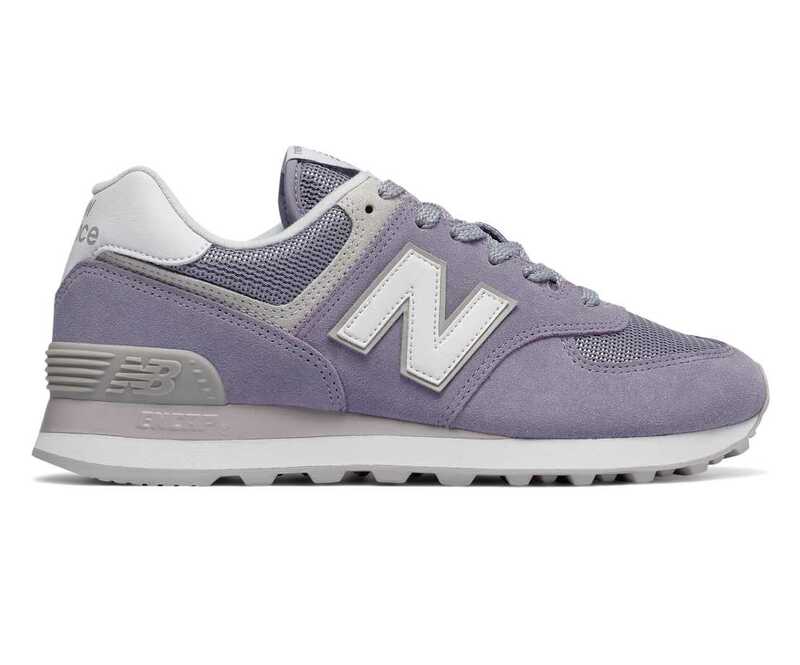 Effortlessly elevate your weekend style with the women's 574 NB Grey, featuring our iconic 574 silhouette upgraded with an ultra-classy, premium look. Rich, whisper-soft nubuck and a subtle, debossed 'N' logo give this shoe a refined profile, and a sheepskin lining provides luxurious comfort. 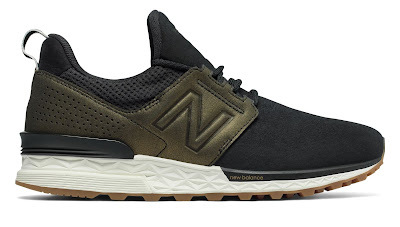 First-class details, including iridescent eyelets, a muted metallic Achilles collar and NB Grey lace-tip detailing, add the final touches. The 574 Tech Raffia for women maintains all the popular features of the iconic 574 sneaker and adds an upper crafted from a variety of contrasting textures for an eye-catching, modern vibe. 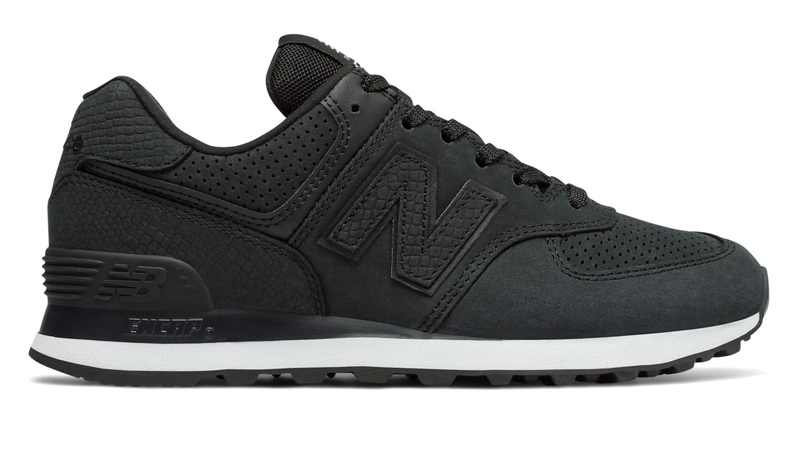 A combination of suede, engineered mesh and raffia textile are offset by a leather saddle featuring a debossed 'N' logo. A lightweight ENCAP midsole helps provide comfort and support for long-lasting wear. 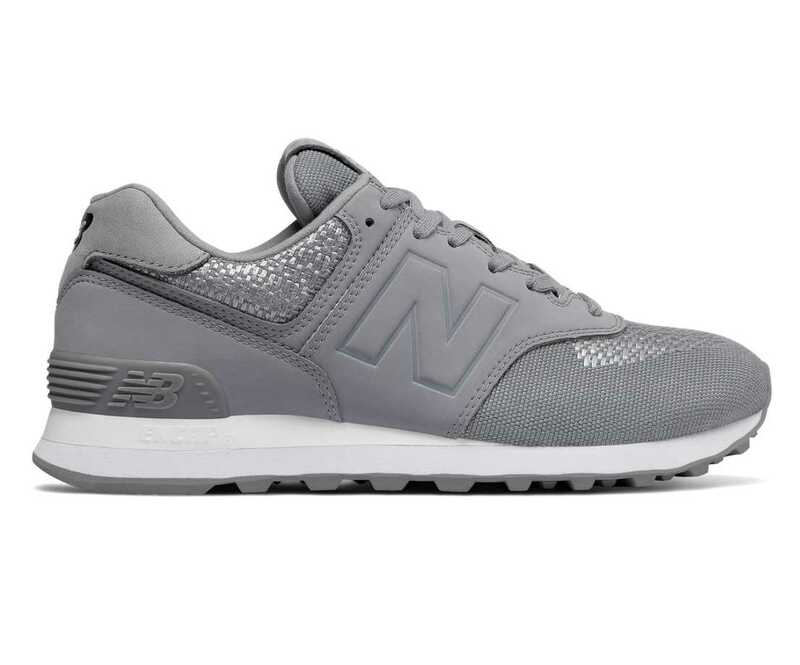 New Balance have blended their classic 574 silhouette with a bold, statement-making design that's sure to stand out. 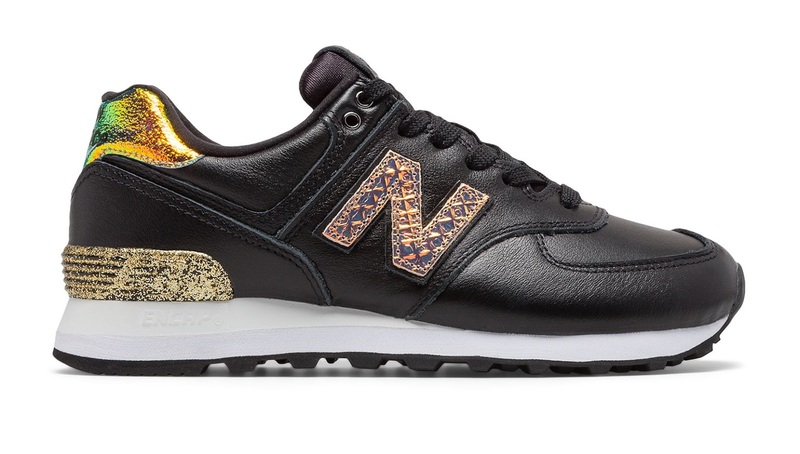 The women's 574 Glitter Punk sneaker features a synthetic leather upper accented with a metallic 'N' logo and Achilles collar and a shimmering, ribbed heel stabilizer. Lightweight and flexible with ENCAP midsole cushioning, this ultra-modern shoe is as comfortable as it is striking. These 574 sneaker are famous for its classic style, durable and lightweight materials, and engineered comfort. 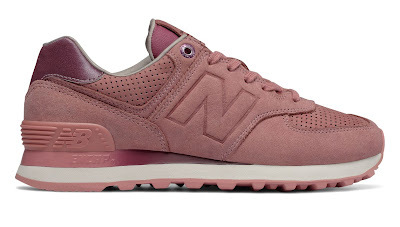 The 574 Serpent Luxe for women maintains all the features of the original and adds an eye-catching synthetic suede and mesh upper in contrast colors and serpent details around the collar. 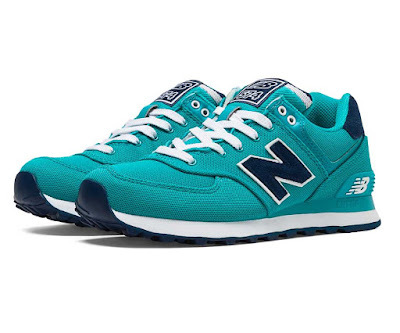 A lightweight ENCAP midsole helps provide comfort and support for long-lasting wear.